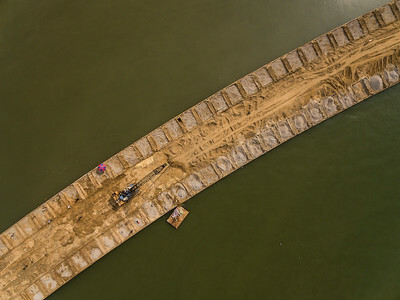 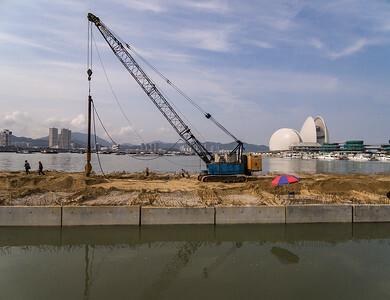 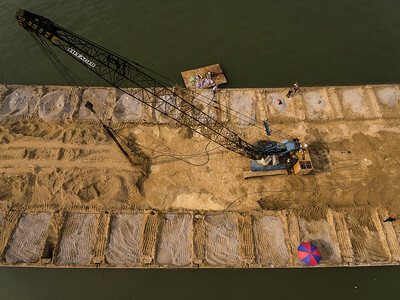 Construction work near the Zhuhai Opera House in Xiangzhou, Zhuhai. 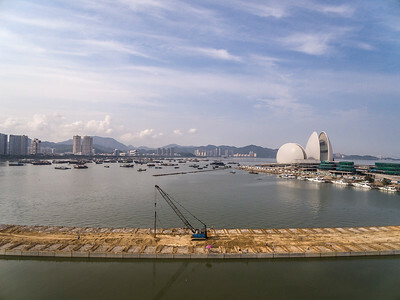 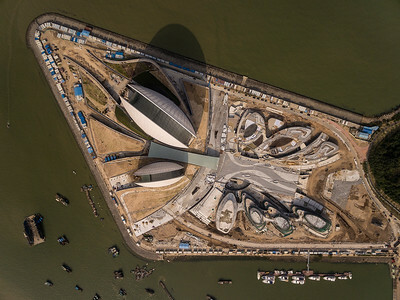 The Zhuhai Opera House is under construction in Xiangzhou, Zhuhai. 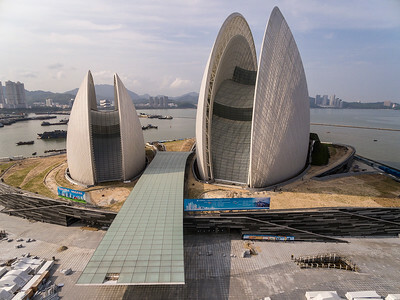 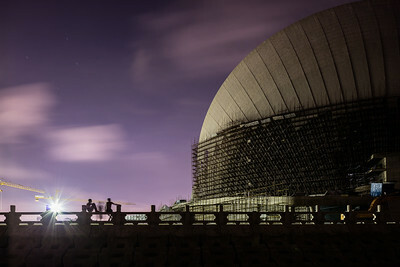 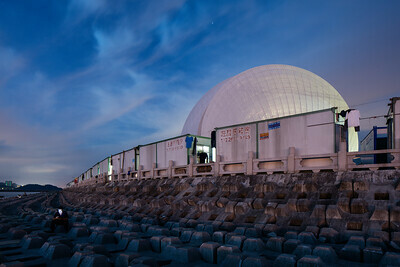 The Zhuhai Opera House is under construction. 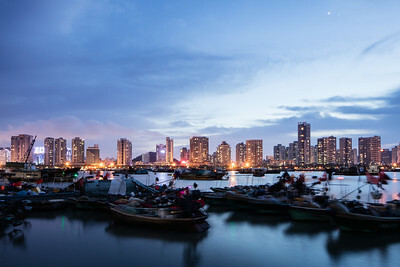 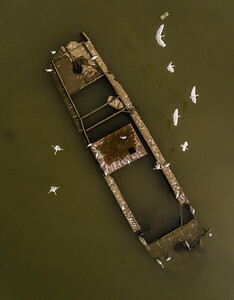 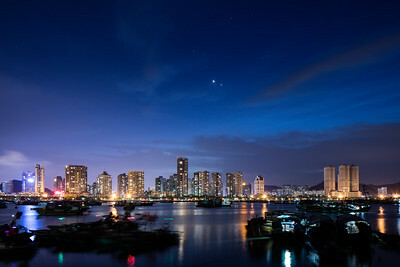 Boats sit at dock in Xiangzhou, Zhuhai, China.